Charles Gates Dawes was Vice-President of the United States under Calvin Coolidge, a WWI Brigadier General, and a Nobel Peace Prize winner. Originally built for Robert Sheppard, treasurer and business manager of Northwestern University, Dawes and his family lived in the home from 1909-1951. 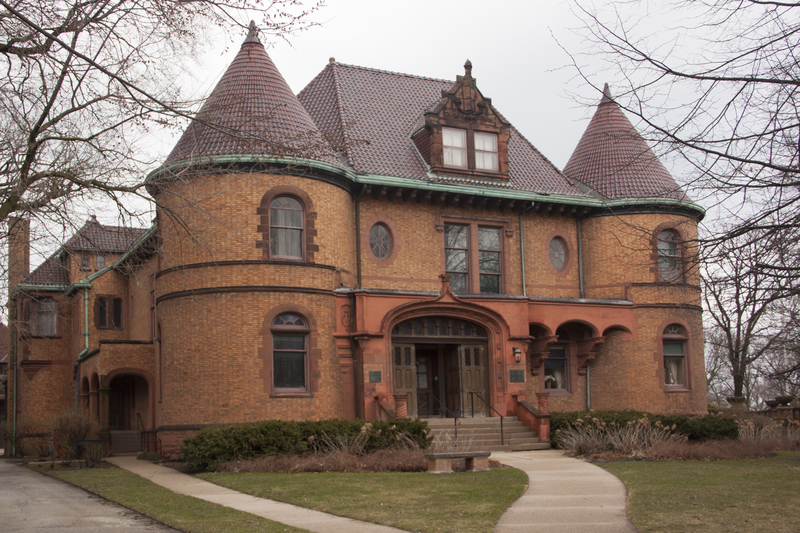 In 1944, he donated the house to Northwestern University to become the home of the Evanston Historical Society, now known as the Evanston History Center. The building was declared a National Historic Landmark in 1976. ACE was the MEP engineering consultant for a Building and Systems Condition Assessment, conducting a comprehensive review of the MEP systems. A feasibility study also considered the best choice for air conditioning the historic structure, while minimizing the disruption to the historic fabric of the building. Controlling temperature and relative humidity for the building and its collections was a critical component, as well as finding the most cost-effective, energy efficient system. The study determined that a new ground-source heat pump system could offer the History Center an economical and effective solution to help improve the interior environmental conditions for the betterment of the building fabric, historic collections and visitor and staff comfort.